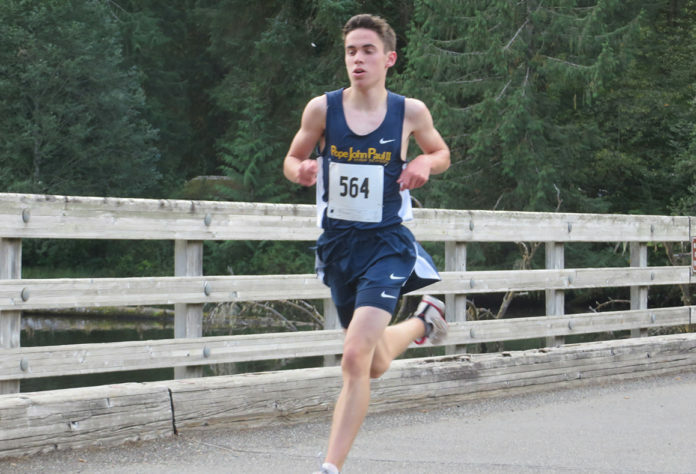 That was Jack Farrell’s offseason game plan following last year’s Class 1B/2B state cross country meet. Farrell was a junior on Pope John Paul II High School’s cross country squad last year, the first team in the program’s five-year history to advance to the state meet. 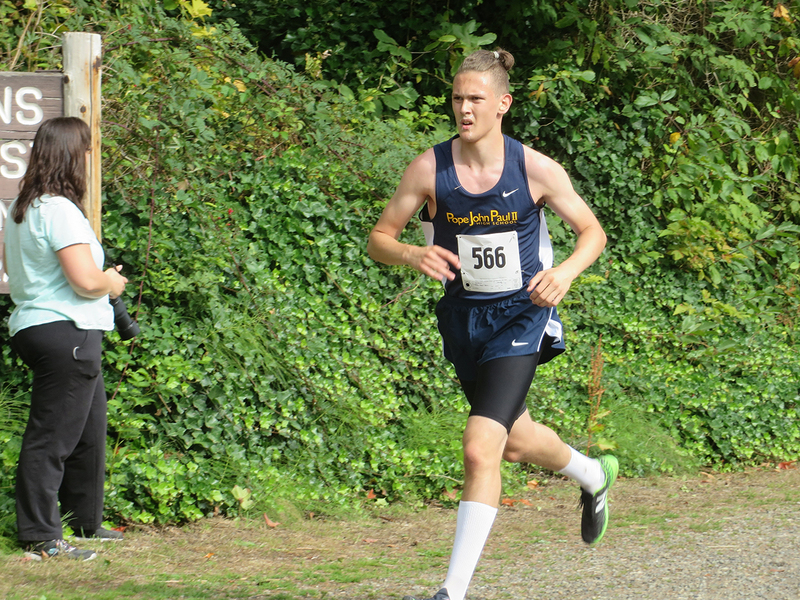 The inaugural appearance proved to be extremely advantageous across the entire Eagles roster – adding incentive for current runners to improve, while at the same time creating some buzz around the school which resulted in several new faces the following season. That was definitely the case with Farrell, who immediately informed his coach what his calendar would look like over the next nine months or so following the state meet. 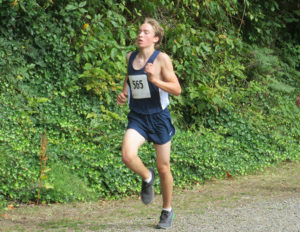 Farrell, a senior captain this season for the Eagles, continued his grueling training regimen through the entire offseason, and payoff has been impressive. Farrell set a season-best time at last year’s state meet, covering the distance in 18 minutes, 34.9 seconds – placing him 68th in the field. At the Grizzly Alumni Invitational in Hoquiam on October 7, Farrell won the event, which also featured runners from 1A schools Montesano, Elma and Hoquiam and 2A Aberdeen, with a time of 17:03 – a good 47 seconds ahead of the runner-up as well as being a school record. 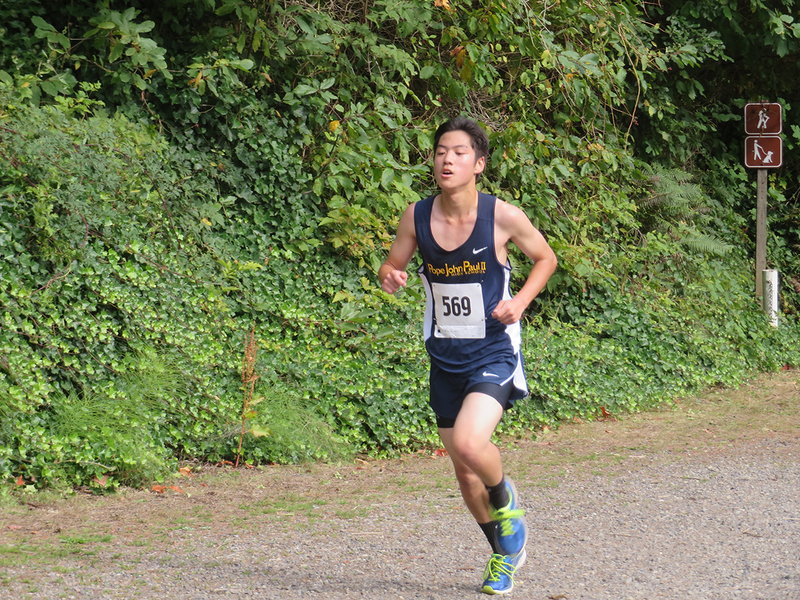 Farrell, who didn’t even crack the 18:40 mark until the final race last year, has now posted a time ranked in the top 10 among all 1B/2B runners across the state. 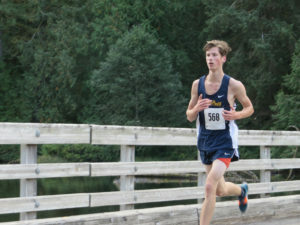 Depth, which, as expected, was an issue when the program was first finding its legs a couple years ago, is now one of the team’s strengths as Farrell is one of 15 members of the boys’ team and one of six returning runners who participated at the state meet last year. 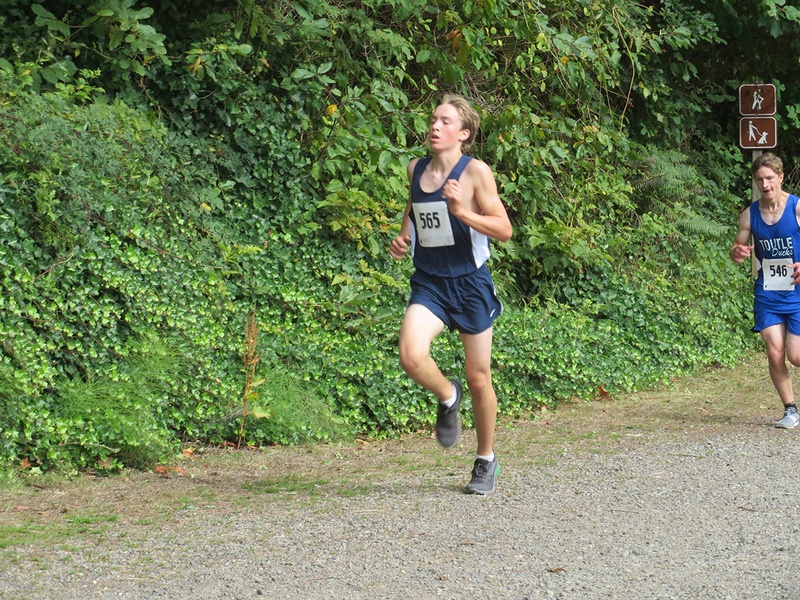 Junior Caden Deutscher posted the best time of all the Pope John Paul II runners at state in 2016, finishing the race in 17:57.8, which placed him 38th overall. After Farrell’s strong summer of improvement, Deutscher has settled into the team’s No. 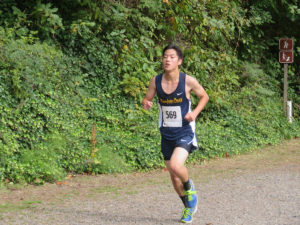 2 role, providing the Eagles with a solid 1-2 punch at the top of the lineup, an incredibly valuable trait among cross country teams looking to place high at state. Joining Farrell and Deutscher as returning state participants this year are seniors Jay Sullivan and Dmitry Sutton. 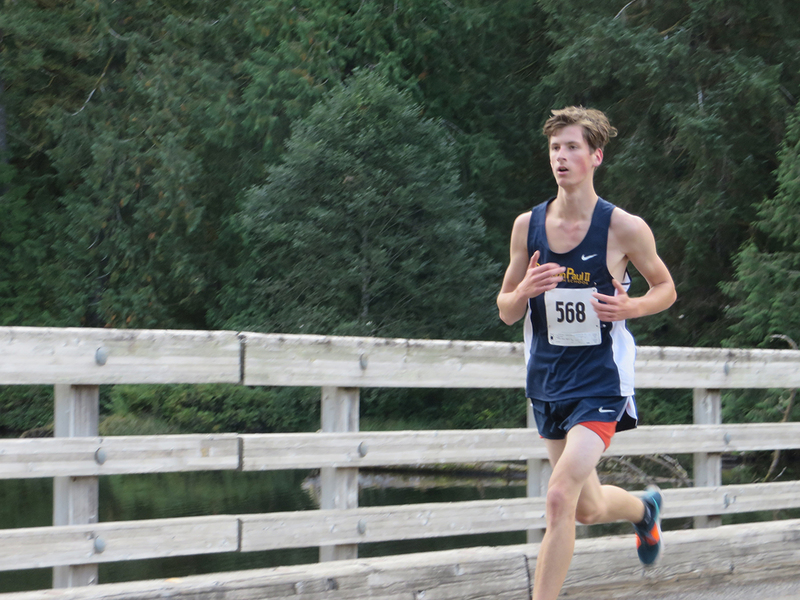 While Farrell holds the team’s top time this year, Deutscher (18:04) is second with junior Jacob Braun holding the third best time after covering the Mark Lyle Memorial Invite in 18:50. Not far off from those two is the quartet of Sutton (18:55), freshman Kobe Deutscher (19:20), Sullivan (19:38) and freshman Joe Oczkewicz (19:45).